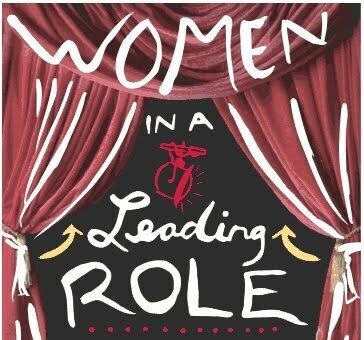 The POWERFUL role of the Jewish woman. According to the books of mysticism, the purpose why G-d created this physical world, is so that we, human beings, invite, introduce and infuse G-dliness into this material world. This is accomplished when we study G-ds wisdom in the Bible, and we fulfill G-ds wishes - Mitzvot, in the Bible. When G-d decided the time had come to present this G-dly wisdom, the Ten Commandments to the Jewish nation, and give the world its mission, He instructed Moses to first talk to, the Women. The Talmud says that women are obligated in the lights of Chanukah, because not only did they personally as women, benefit from the miracle, the actual miracle came about through a woman. Yehudit, chopped off the head of the chief of war and thus the enemy was defeated. The Holiday of Purim is coming up in another week, March 8, 2012. 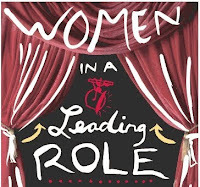 Here again we are told, women are obligated to hear the story of Purim, both at night and the next morning because, not only was the decree of the wicked Haman, against the women as it was against the men, the miracle for all the Jewish people was actualized through a woman, Esther. As matter of fact, the entire story of Purim is named after a woman, the Megilah – story of Esther. In mysticism it explains that the spiritual counterpart, the underlying energy, of the feminine gender is higher and deeper than even that of the male gender, and this explains, why the miracle of Purim happened through Esther, a woman. One of the actual manifestations of this greater strength, is seen and expressed in the central role women, and a mother, plays on the direction of her home. In Judaism a woman is called the “main entity of the home.” She is the foundation and the path the home will take. She has the greatest influence on the home, primarily the influence on the children, which is the spiritual strength of the present generation and the foundation for the next generation. In order to annul the decree of Haman to “annihilate all the Jews in one day”, Mordechai, the leader at that time, gathered 22,000 children to study the Torah. It was the innocence and purity in the voice and actions of the small children, that spiritually broke the negative energy of that time. We read in the story of Passover – the Hagadah, in every generation there is a Haman. A physical Haman with a down to earth physical threat, and the negative spiritual energy of Haman, who challenges the survival of our people. This spiritual enemy is, the internal lack of enthusiasm and coldness towards living up to, and observing our duties and responsibilities as a people. Only through the commitment of mothers and women, to bring up their children with an unadulterated and pure spiritual and Jewish education, we will overcome the spiritual challenges against our people. Once we are safe spiritually, mentally and internally, we are protected and safe physically. Bill says, “Look at you what happened?” And the fellow says; “let me tell you what happened. After I passed away, I came before G-d, and my entire life, every detail, was played out for me. (That is what actually happens) I didn’t know where to put my self. The embarrassment, humiliation, disgrace was too much to bear. I told them you have the wrong guy. I never thought of later, and/or consequences. I was impulsive and always thought of the moment, never of the future. So this one judge asks me, “Did you drink wine?” I said, not only did I drink wine, I enjoyed every good wine I could put my hands on. And he continued to ask me, “Did you drink vodka?” I said to the guy, Give me a break. And how, I drank vodka. Like there was no tomorrow. That’s what got me up here. And he says to me, “but Vodka is bitter it doesn’t taste good.” And I said to him, listen Charlie, you must not know what it means to drink Vodka. True it doesn’t taste good, and it is bitter, but the feeling one gets afterwards, the feeling of relaxation, makes it all worthwhile. And that’s when I got my foot in my mouth. So he says to me. “AHA. So, when it came to Vodka, you did think of the consequences of your immediate bitter choice, and decided the harsh sour taste, was worth the reward that came afterwards. So why didn’t you do the same regarding other choices in life? It’s only that with the other serious issues you didn’t have enough of an interest, and you didn’t care about it, while with drinking which YOU wanted, YOU decided to forego the temporary discomfort for the perceived rewards afterwards.” And that’s how got my self into real trouble. This cute little story demonstrates how some people will interpret life according to their preconceived attitudes. While someone else might learn from the admonition of the Judge, to apply discernment in all matters of life, this fellow took a lesson not to drink anymore. This story exemplifies how, many times we don’t even realize the double standards we ourselves maintain. Happy people are happy because they know why they are here in this world, and they make every effort to consistently make choices in line with their purpose and goals. They see every day as a gift, which gives them more opportunities, to fulfill and reach their unique purpose. This becomes an intense sense of satisfaction and gratitude to G-d, for all the opportunities granted. The little boy with a strange energy. I was so inspired when I heard the following story, I decided to share it with you. This is a story that so vividly demonstrates, the hand of G-d in everything, and reinforces our belief in Divine Providence, prayer, and that “the salvation of G-d, is in the blink of an eye”. This older fellow, now living in Jerusalem, would say his grace after meals with particular concentration and it was obvious he relished every word of the prayer. “When I was a child in Poland about 10 years old, our teacher said he would treat us by taking us to the great Rabbi Meir Shapira of Lublin. We were all tested and did quite fine for little lads. After the test, the great Rabbi went over to his book shelf and said he was going to give us all, a very special gift. He opened up the book and started to read, “whoever concentrates and pays attention to the grace after meals is guaranteed that he will never lack food…” and he repeated this about three times. Once he was finished, he asked, “Who is prepared to accept upon themselves to always say the grace after meals as described here in this book? ?” I raised my hand and he placed his holy hands on my head and blessed me, that I will see this promise in my life. 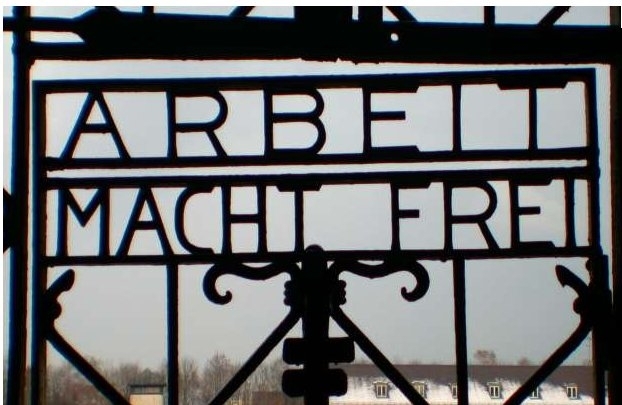 A few years later the Germans came, and an SS Soldier placed a stick across the doorway of our class, and announced, “Anybody lower than the stick to the left, anyone who meets the height of the stick to the right.” When it came my turn, I just barely made it and I was sent to the right. After we went through, there was another line. Anyone with a trade to the right, no trade, to the left. All of a sudden, an adult walks up behind me and says, “Tell him you’re a cook, tell him you’re a cook.” I said to the fellow, I’m only 13 years old? And the fellow said, “don’t worry, I’ll teach you.” So as I approached the German soldier, I mustered all the courage I had, and when asked, do I have a trade, I answered, ” I’m a cook.” So off I went to the right. The man who I never saw before or afterwards, taught me how to cook, and during all those years I was fortunate to eat well. I rarely ate bread, because it would take so long for me to say the long grace after meals. One day a SS General came to visit our kitchen and when he saw me he said,” why do you look so healthy? Jewish people shouldn’t look so plump.” He gave me a pocket chisel, and in the freezing snowy and ice weather told me to go outside, and dig a whole 4 x 6 feet. Basically, condemning me to death. I was outside and prayed to G-d. “G-d you where so kind to save my life with food, please don’t make that, the reason for my death.” All of a sudden a truck of German soldiers drove by and threw at me all kinds of potatoes, and vegetables to hurt me. So I said to G-d, “not food. A hole 4 x 6 is what I need”. Not long afterwards, another truck of Polish laborers passed by, and I said to them. “Hey guys you want food?” And of course who didn’t, when it was so scarce. I told them, if they would dig a hole 4 x 6, I would give each one, two potatoes. In no time at all, with their picks and shovels I had my hole. I went inside and told the General everything was done in these three hours, and he said. “If you are lying, I will kill you on the spot.” He came out with me, and when he saw the hole he told me to run. He said, it was humanly impossible to dig a hole with that small chisel, and accused me of having a bizarre energy around me. A Powerful story on trust in G-d. The following, is a true story that demonstrates, the power of simple and sincere faith in G-d. Faithful to the instructions he had received from Heaven, the Holy Baal Shem Tov once invited a group of his students to accompany him in his wagon to a certain town, so that they could learn by example, the power of trust in G-d, bitachon. The local innkeeper was pleased to see them and welcomed them graciously. The next morning, while they were doing their morning prayers, a police officer walked in with a stick in hand, banged on the table three times and left. The students, baffled, froze in their places, but their host remained as cheerful as he had been before. Half an hour later the same man returned, banged on the table three times, and left. When the Baal Shem Tov asked the innkeeper to explain these strange events, he said, "This is a warning. The policeman is reminding me to bring the rental payment to the land owner. It is repeated three times, and if I do not bring the money at that point, my family and I will be thrown into the dungeon." Hearing this, the Baal Shem Tov told him, "Judging from your calmness, you must have the money ready, so why don't you go and pay your rent? We will await your return, and then we will be able to take our places at your table peacefully." The innkeeper answered, "Truthfully, at the moment I don't have a single coin, but G-d will surely not forsake me. He will provide the money. 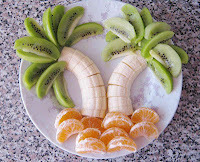 Let us eat without haste, because three hours still remain to the time limit." They ate together unhurriedly, and the innkeeper's face disclosed no sign of his dangerous plight. At the end of the meal, the officer strode in for the third time and once again banged on the table, but the innkeeper, unruffled, remained calmly in his place. After saying the grace after meals with deep concentration, the innkeeper went off to get dressed in his Sabbath clothing. When he rejoined them and announced that he would now go pay and his dues, the Baal Shem Tov asked him again if he had the money he needed. Shaking his head, the host answered, "I haven't got a single penny yet, but I am sure G-d will take care of me!" 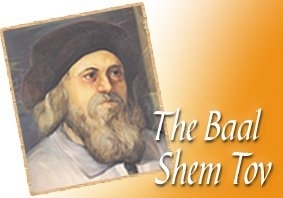 He took his leave and the Baal Shem Tov and his students went out to the porch overlooking the road that stretched out before them, to see him off as he set out on his mission by foot. From the distance they saw a wagon driving towards the innkeeper, which slowed down as he exchanged a few words with the wagon driver. The wagon then continued on its way. After a few moments, its driver backtracked, called out to the innkeeper, and then handed him some money. The wagon then resumed its route towards the inn, where the curious onlookers asked the driver what had transpired. "I had proposed a deal to the innkeeper," he said, "and offered to buy all the liquor he is due to make this winter, but he didn't agree to my price and continued on his way. Seeing his stubbornness, but knowing his honesty, I decided to give him the amount he had asked for. He then excused himself and hurried ahead, explaining that he was on his way to pay his rent." The Baal Shem Tov turned to his students and said, "Look, how powerful, is the behavior and conduct of trust in G-d, bitachon!" Faith, is the foundation and cornerstone to a healthy and solid life. I am not talking about a faith in oneself or a faith in nature. Let’s be reasonable. If statistics dictate that I have a greater chance to fail, then I’m not being reasonable and/or rational, if and when, I decide to nevertheless go ahead with the program, and have positive faith. Using my mind, I weigh the probabilities in either direction and come to a logical conclusion. I may hope; that good luck falls in my favor, but there is no faith over there. What is the definition of faith and trust in G-d? “I have full faith and trust in G-d, that it will all work out for the best.” What does that mean? Rabbi Bechaye writes in DUTIES OF THE HEART, that trust in G-d is a complete peace of mind, a condition, in which a person is completely calm, knowing that he can rely on G-d and trust in Him, that it will all be good. When a person contemplates, how G-d made the world and all that’s in it. Created him, loves him, cares for him, and certainly fills all his needs, and G-d knows what is best for him; when he considers, how G-d alone keeps an eye, always, on his life, and does good, even to those who are undeserving; - he will then be overtaken by this immense feeling of full trust – Bitachon in G-d. Such faith and trust can be found, only in G-d, who created heaven and earth and is always the basis for every moment in this world. When a person places his full trust in G-d, feeling fully at ease with complete trust in G-d, this outlook and mind-set, is enough to merit G-ds salvation. This is true even for someone who is seemingly undeserving of G-ds blessings, at this moment. For, this effort of worship, trust in G-d, putting himself in G-ds care, in itself, gives him the merit to be helped. When the revered Michoel Beliner was still a young man, his son fell deathly ill. Michoel went to the local house of study and shared his bitter news with his colleagues. Doing their best to encourage him, they assured him, that G-d would surely have mercy, and advised him to travel immediately to the Grand Rabbi the Tzemach Tzedek for a blessing. Michoel began to weep, saying, that he would like to go, but the doctors said that it was only a matter of hours, so why should he set out on the road? One of the older Chassidim berated him. He quoted from the Talmud, that one should never despair of being granted G-ds mercy, and added, that surely the good Angels created by going to the Grand Rabbi would succeed in having the Heavenly verdict postponed until he reached the Rabbi. One of his friends, a tailor, offered to join Michoel on his trip, and together they set out on foot, here and there hitching a cheap wagon ride. Arriving at last in Lubavitch, Michoel was fortunate to be received by the Tzemach Tzedek immediately. "When I entered the Rebbe's room” he later on related, “and handed him the request for my son, I thought to myself, 'Who knows what has meanwhile happened with him?...,' and I began to weep. The Rabbi read my note and said, 'Don't cry. You must have Bitachon – full trust in G-d, with a simple faith, that He will save your son. Tracht gut vet zien gut. 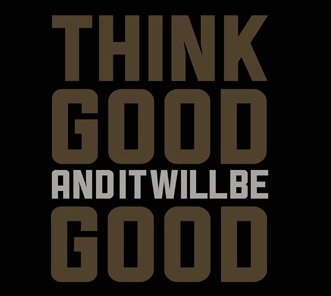 (Think good and things will be good.) You will yet celebrate the bar-mitzvas of your grandsons!' "
Soon after, the boy recovered completely. From then on, whenever Michoel experienced difficulty, he would bring to mind the luminous face of the Rebbe as he spoke those words, and the situation would change for the better. 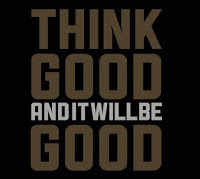 This is the meaning of the words, "Think good and things will be good."